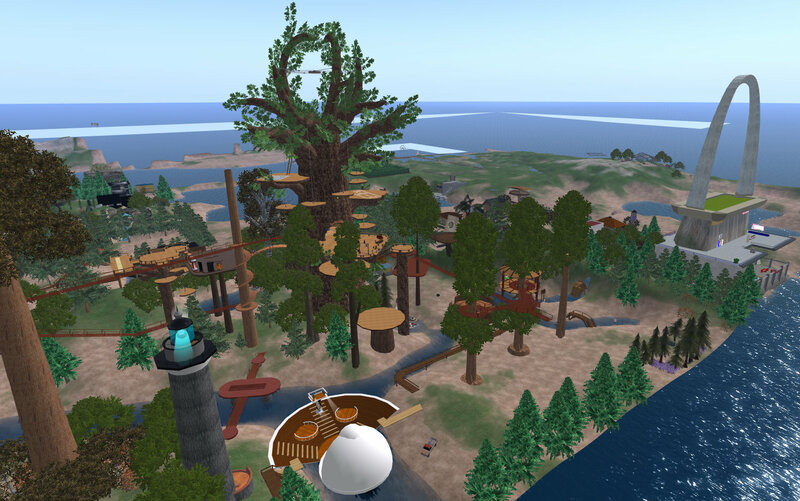 Lusk: home of “Luskwood”, the oldest furry community in Second Life — perhaps the oldest continuous community of any kind, and which now extends across most of four contiguous regions. It celebrates its birthday a mere three months after SL does, in late September. 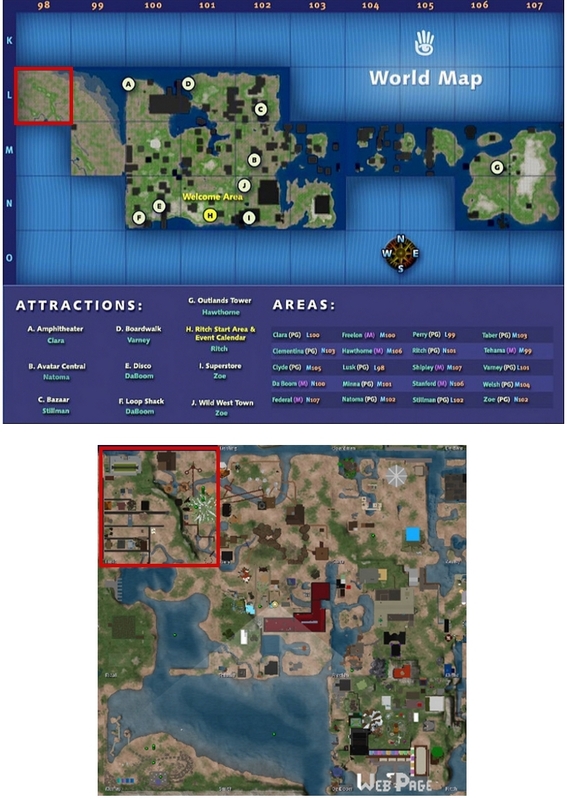 While much has been rebuilt (compare the first image above, taken a few days ago, with the one taken five years ago*), many items remain from the first days of Lusk’s appearance on the map. 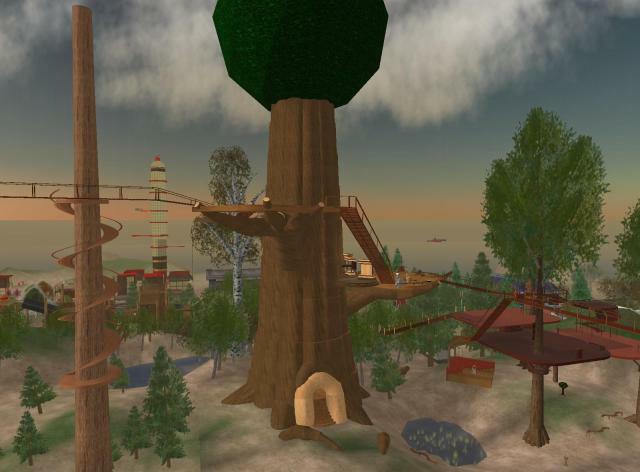 Throughout 2003, Luskwood was approximately 12 km2, and began by the unification of Liam Roark’s AT&T LongLines tower, Michi Lumin’s land, and Eltee Statosky’s treehouse. During 2003, Luskwood shared Lusk and Perry with the JazzyJadeWolf estate, Cienna Rand’s glass house, and Devlin Gallant’s greek-styled mansion. Eltee’s treehouse predominates the photo from 2005, as its successor does today… but the other two builds mentioned can be seen, if you know what to look for, and they remain in their original places. 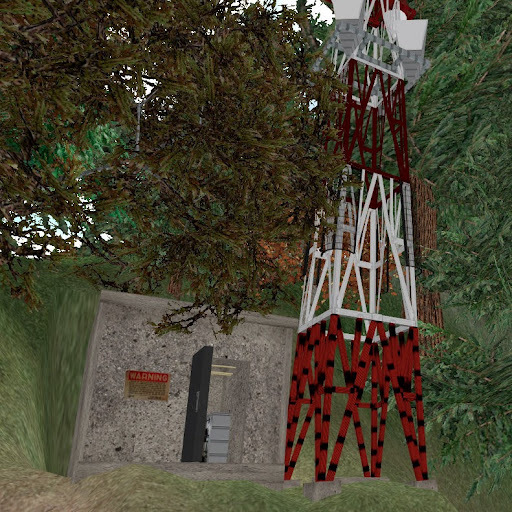 Liam Roark’s Long-Lines Tower — the oldest parts of it, including all of the blockhouse, date from October 2003. Michi Lumin’s radio station (also from October 2003) sits next to it. 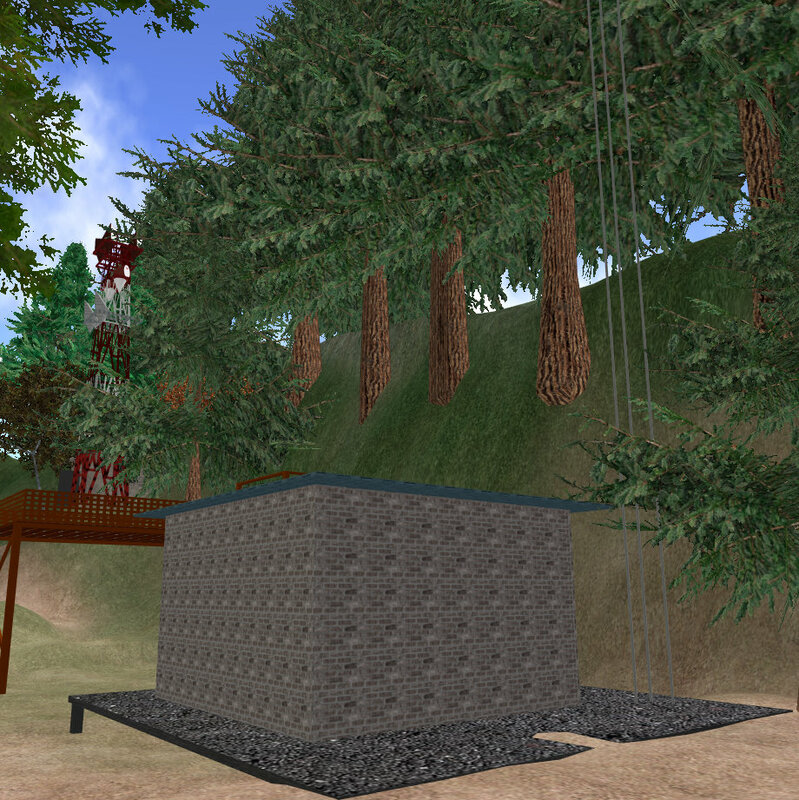 Also near the base of The Tree are the Luskwood General Store (October ’03 through March ’04) and a waterwheel (February ’04), both created by Liam. West of the above builds and beyond the ridge they back up to sits Luskwood Estates, which is — along with the full regions of DeHaro and Boardman — among the oldest covenanted and zoned residential-only communities on the Grid. The Estates includes the technically oldest build in the region: the cabin to the left of the water tower is a “Linden freebie” (which can still be obtained from kiosks in the regions of DeHaro and Brown), by Bill Linden, October 2002. Finally, we come to Lusk’s northwest corner, and the only piece of it not owned by the Luskwood groups. It belongs to Sinclair Valen, and is given over as a memorial to “Americana”: another community effort to create a themed region, about which more will be learned when this deep map’s focus moves to the region called Blue. The “Gateway to the West” arch (a tribute to the physical one in St. Louis) was built in July 2003, and eventually moved here from Blue. The dragon at right is from October, 2003. There’s a great deal more photos of Sinclair’s memorabilia, as well as more of Luskwood, to be found in my online album. * Photo credit: Shack Dougall, noted tourist and recorder of sights in Second Life, whose Snapzilla collection contains 2415 photos, the newest of which is dated May 26, 2009. Shack, if you’re out there, I hope you don’t object to my posting your photo directly, rather than merely providing this link to it.